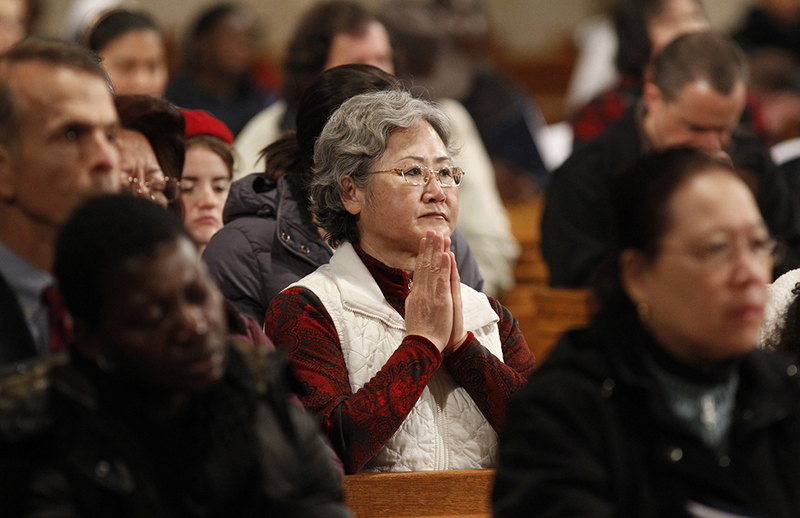 Catholics often think of holy days primarily in terms of obligation and imposition. No doubt we’re obliged to observe them — but shouldn’t we see them first as graced times of opportunity to mark a special mystery of our faith? Part of the problem may be that we fail to understand their significance. In fact, this seems to be a perennial concern among Catholics. As early as the fourth century, St. John Chrysostom complained about the celebration of holy days in Constantinople, the city where he served as patriarch (archbishop). St. John’s comment invites us today to seek a deeper appreciation of the “history, meaning and origin of holy days” we observe so that we’ll be better able to celebrate, renew and enrich our faith. What exactly is a holy day of obligation? Put simply, a holy day is an important feast of Our Lord, Our Lady or the saints that Catholics are morally obliged to observe by participating in the celebration of the Eucharist and abstaining from unnecessary servile work. These days have been made solemnities, much like a Sunday in terms of festivity and observance, because of their significance for the Catholic faith. In coming together as a community of faith for the celebration of the Eucharist, we declare the importance of the feast in the life of the Church. For this reason parishes are urged to celebrate holy days with all their resources as they do on Sundays. According to the Code of Canon Law, in addition to attending Mass on holy days, Catholics “are to abstain from those works and affairs which hinder the worship to be rendered to God, the joy proper to the Lord’s day, or the suitable relaxation of mind and body” (Canon 1247). Many Catholics are unaware that not everyone in the universal Church celebrates the same set of holy days. Current canon law calls for 10 of them: “the Nativity of our Lord Jesus Christ, the Epiphany, the Ascension, the Body and Blood of Christ, Holy Mary the Mother of God, her Immaculate Conception, her Assumption, St. Joseph, St. Peter and St. Paul the Apostles, and All Saints” (Canon 1246). However, “with the prior approval of the Apostolic See . . . the conference of bishops can suppress some of the holy days of obligation or transfer them to a Sunday” (Canon 1246). Therefore, the particular array of days observed varies from country to country. Catholics in Ireland, for example, observe St. Patrick’s Day as a holy day of obligation; Mexican Catholics observe Our Lady of Guadalupe. German Catholics observe Easter Monday, Pentecost Monday and “Second Christmas” (Dec. 26). Holy day observance also varies among the Eastern Catholic Churches. In the United States, the calendar of holy days has varied considerably since colonial times. Today, six holy days of obligation are observed here in the Roman rite: the Immaculate Conception; the Nativity of Our Lord (Christmas); Mary, Mother of God; the Ascension of Our Lord; the Assumption of Mary; and All Saints. Nevertheless, whenever Jan. 1 (Mary, Mother of God), Aug. 15 (Assumption) or Nov. 1 (All Saints) falls on a Saturday or Monday, the precept to attend Mass is abrogated. One U.S. diocese has arranged for an exception to this calendar. In Hawaii, through an indult from the Holy See, only two holy days of obligation outside of Sundays are observed: the Immaculate Conception and Christmas. We should note that non-Sunday holy days of obligation rank as a solemnity. So if one of them falls on a Sunday in Ordinary Time, the Sunday celebration gives way to it. However, the Sundays of Advent, Lent and Eastertime take precedence over all solemnities, which are then transferred to another day. Why does the Church go to so much trouble to observe these special days? Because the events they commemorate are so important to the life of Christians. Just as Easter, and indeed every Sunday, calls us to celebrate the glorious resurrection of Christ, these other festival days invite us to meditate deeply on other significant events in the life of Our Lord and Our Lady that lie at the heart of our Catholic faith. In observing these days faithfully, we come to appreciate more fully the meaning of the birth of Christ and His ascension into heaven, and the immaculate conception of Mary and her assumption into heaven. Other holy days commemorate additional significant truths of the faith. The solemnity of Mary, Mother of God not only reminds us that Our Lady was greatly honored to be the mother of Our Lord. It also affirms that Jesus Christ is fully God as well as fully man. Through the feast of All Saints, we have the chance to strengthen our communion with our elder brothers and sisters in the faith who are now in heaven and praying for us. Still other holy days celebrate significant historical events in the life of the Church in a particular region, such as St. Patrick’s Day in Ireland or Our Lady of Guadalupe in Mexico. Some Catholics complain that observing holy days of obligation falling on weekdays may hinder them from other activities, especially their work. That complaint, however, seems hollow in most cases, since parishes typically offer holy day Masses outside of normal business hours. Yet even if some sacrifices must be made to fulfill this responsibility, we can rest assured that a faithful observance of holy days offers rich rewards for our growth in holiness. These celebrations need not become burdensome obligations if we learn to regard them instead as dynamic opportunities to grow closer to God and to honor Him. Why is the color green used for ordinary time?